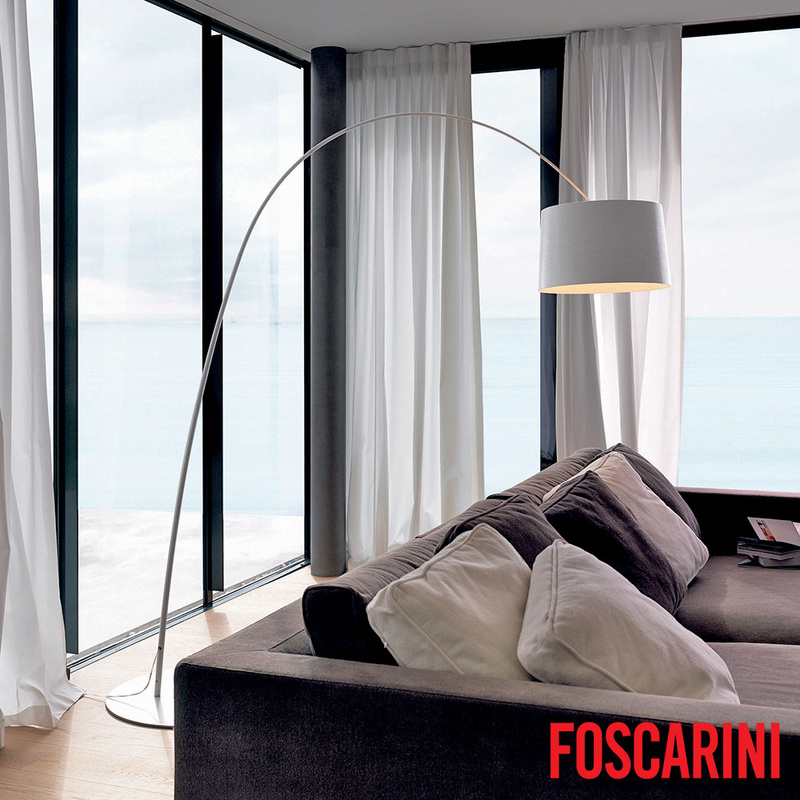 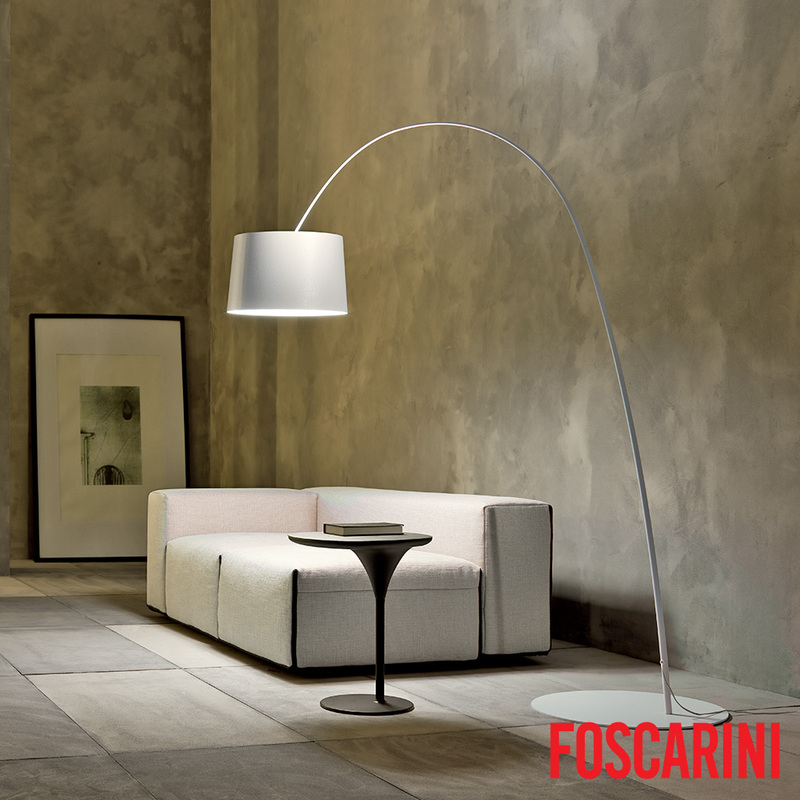 Foscarini Twiggy Floor Lamp is elegant and sophisticated, but light and lively at the same time that decentralises the light source. 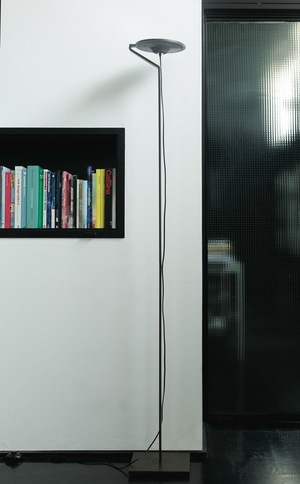 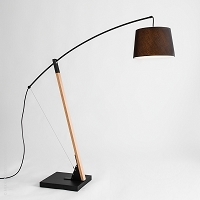 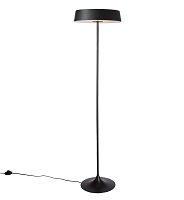 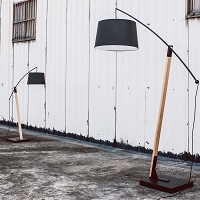 Twiggy Floor lamp with direct and indirect light. 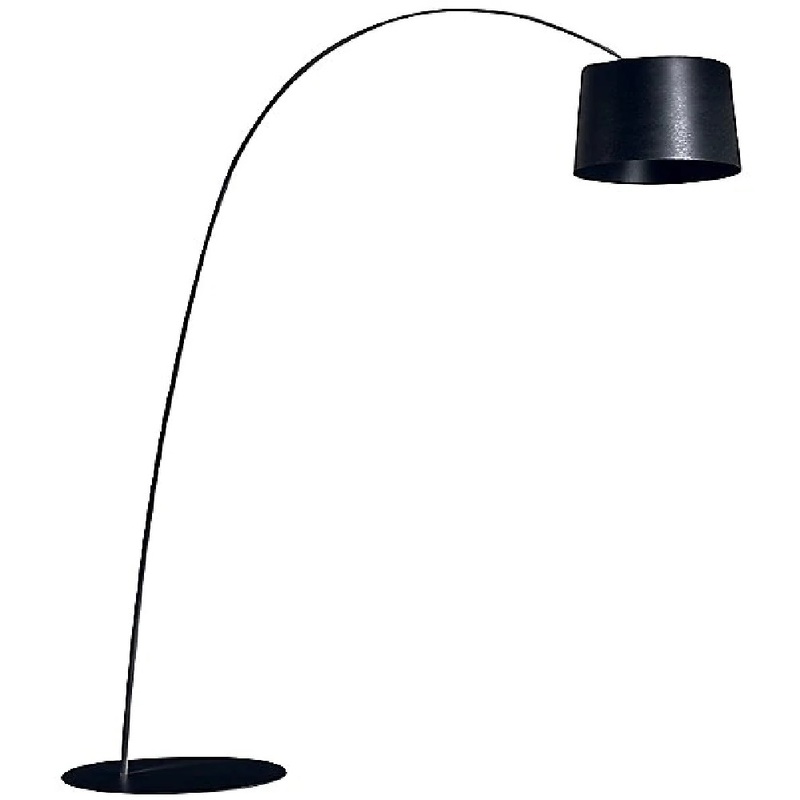 Diffuser and rod made of fiberglass–based composite material and liquid coated. 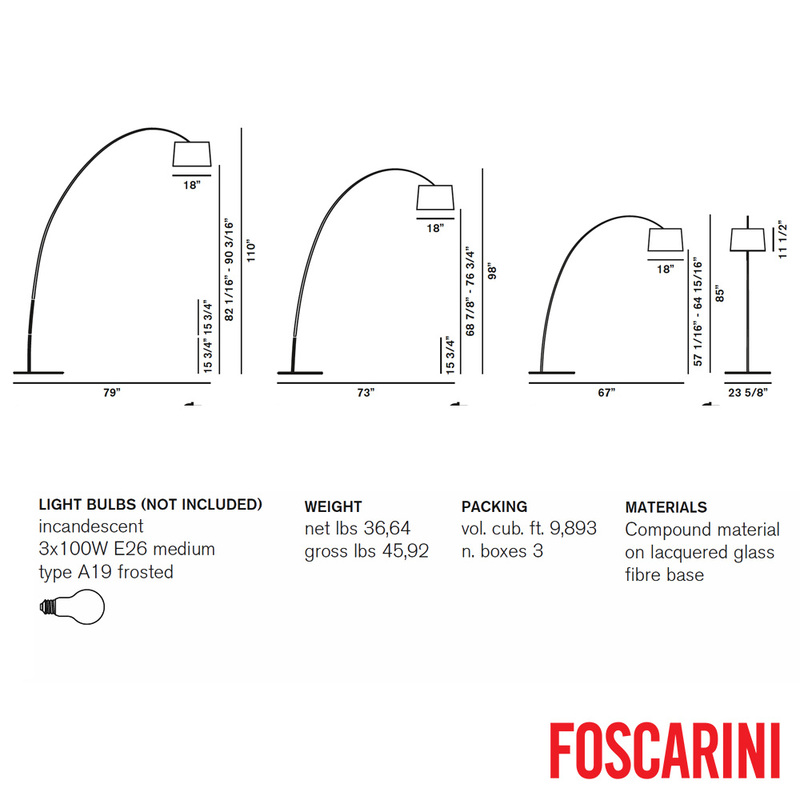 Translucent polycarbonate upper diffuser disc, PMMA lower diffuser disc with polyprismatic internal surface. 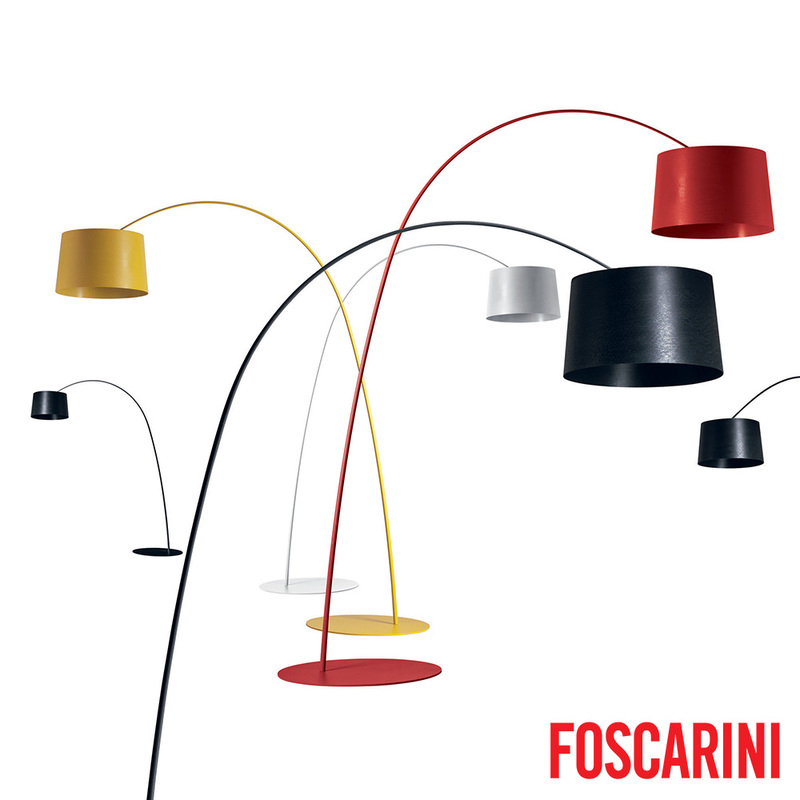 Epoxy powder coated metal round base. 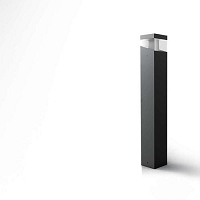 Supplied with 4 counter–weights to be inserted in the purpose–provided seat above the diffuser to adjust its height. 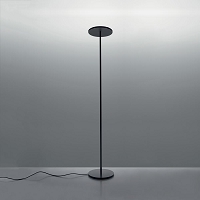 Additional arc–extending rods available upon request; the black cable is fitted with a dimmer which can be used both to adjust the level of luminous intensity gradually or as the ON/OFF switch. 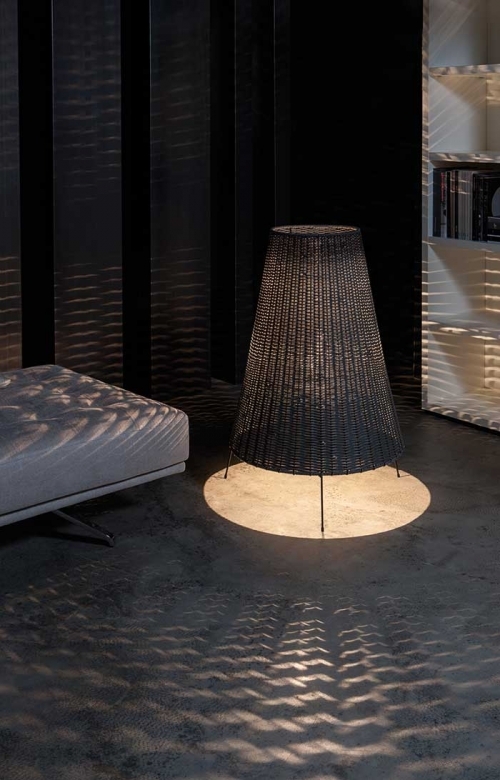 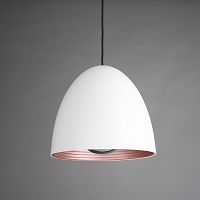 Twiggy's extraordinarily resistant and flexible material makes it possible to create a lamp with impressive overall dimensions while maintaining an extremely streamlined silhouette that harmonizes its visual impact.